A Wauwatosa homeowner contacted us to remodel her family’s upstairs hallway bathroom. She grew up in the home and loved the space and memories. However, the bathroom was literally falling apart. The cabinet doors and drawers were broken, the tub was stained and the flooring was peeling. We turned the drab and dreary bathroom into a sharp and stylish retreat! To bring more light into the space, the design includes a backlit mirror, new recessed lighting and vanity light. The once dark shower area feels more open and bright with a glass shower door. 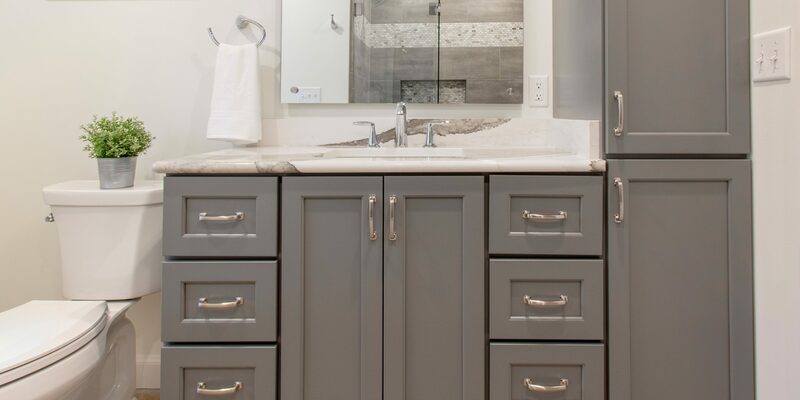 We installed a floating grey vanity with a floor-to-ceiling storage cabinet. 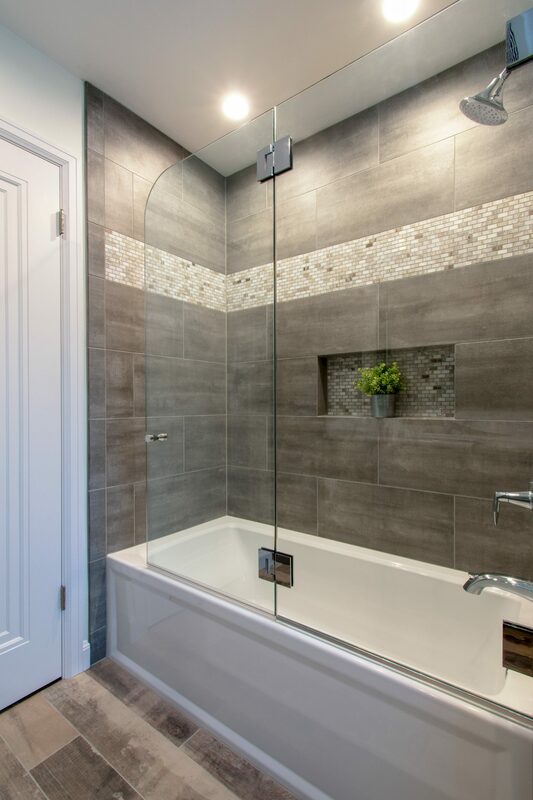 The shower features grey 12×24 tile and a mosaic accent. The floor is ‘reclaimed wood’ porcelain tile.